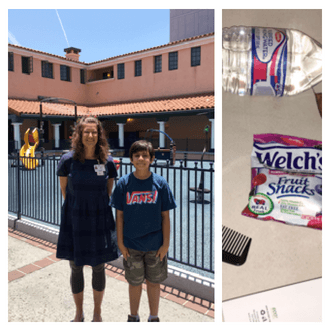 Kids Volunteer San Diego | The amazing kids of San Diego! The Amazing Kids of San Diego! Father Joe’s Villages is so grateful for the support of industrious young superheroes across San Diego. Every day, kids volunteer and fundraise to help end homelessness in their community. Here are just a few examples of our incredible helpers from recent months! 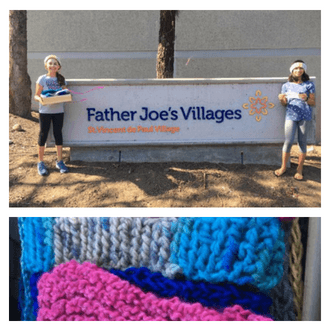 Two fifth graders at Village Elementary in Coronado dedicated a school project to Father Joe’s Villages, creating a campaign called “Headbands for Homeless.” As a result, they raised over $200 for Father Joe’s Villages’ programs and services and made more than 25 headbands, which they also donated. Their gifts will help provide hope to people experiencing homelessness in San Diego. Thank you Jaya & Eva! 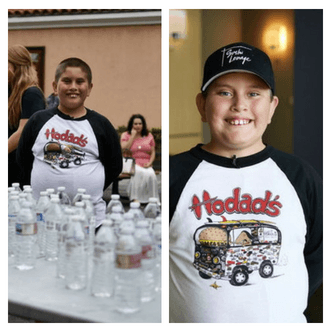 In partnership with Channel 93.3, 10-year-old Phillip collected over 6,200 bottles of water for people experiencing homelessness. Even more, he visited the Franklin Antonio Public Lunch Line to distribute the water bottles to hundreds of people living on the streets of San Diego. “When I was a little kid, I saw that people on the streets looked sad… Then, when I got older I thought of this thing where I would give out food and water to the homeless—and some dog food if they have dogs.” Thanks, Phillip for sharing your big heart with the people we serve. 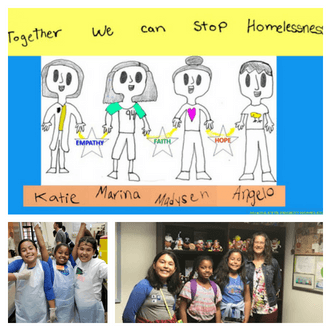 Ishan, an incoming seventh-grader at Design39 Campus in 4S Ranch, believes that “together we can end homelessness”. To do his part, Ishan formed a new organization: Happy Giving. Happy Giving will create care packages to “help people that live on the streets make their day easier”. Furthermore, Ishan, his brother, dad and grandfather recently visited Father Joe’s Villages campus in the East Village to drop off his first round of care packages and tour the campus. With a list of needed supplies in hand, Ishan is collecting donations and creating care packages for Father Joe’s Villages. Outreach Workers will take them to meet and help people on the streets. Thank you to all of the children and parents who have enthusiastically joined our mission to end homelessness. They demonstrate the incredible community spirit of this next generation. Their stories give us hope for a better tomorrow.